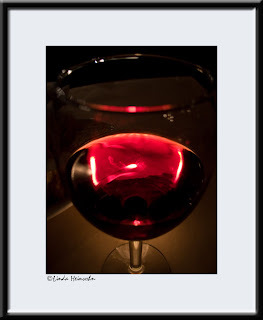 What to do while waiting for your dinner in a restaurant--take photos of your wine with a candle behind it! Lunar Eclipse, Feb 20, 2008, 7:01 p.m.
Red Sky At Night. . .